For the second year in a row, a Queensland victory set a new record for consecutive State of Origin titles, reaching five. Queensland won all three matches, completing their first series white-wash since 1995. Queensland fullback Billy Slater was awarded the Wally Lewis Medal as Player of the Series. 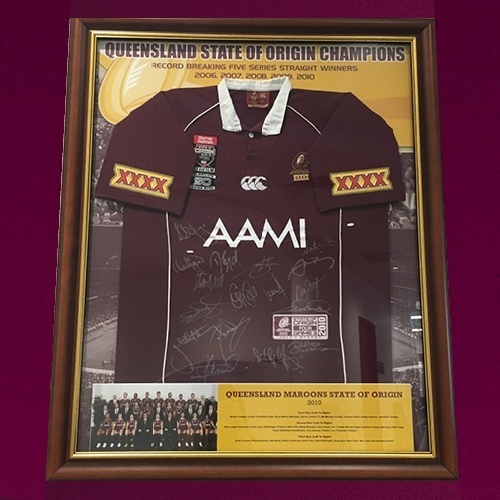 This limited edition framed memorabilia is personally signed by the 2010 Queensland State of Origin Team. click here to complete Order Form.